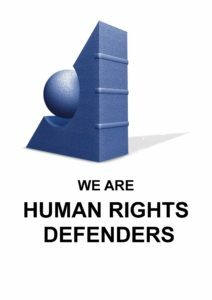 Contributing to human rights implementation is the key objective of GHR. Since October 2004, GHR has a specific Programme to promote the implementation of human rights in specific countries through training, mediation, advisory services and teaching strategies. The Programme is entitled ‘Implementation Now‘: Strengthening national empowerment to facilitate the implementation of human rights at national level’. GHR Mexico Programme started at the request of the Mexico’s Ministry of Interior (‘SEGOB’), who coordinates human rights activities in the country. In October 2004, the Swiss Department of Foreign Affairs (DFAE) and GHR contributed in Mexico-City to the realization of a Seminar of SEGOB, defining the strategies and the different stages of the National Programme of Mexico. Elected in 2000 after decades of quasi absolute reign of the PRI, the PAN candidate, President Vicente Fox (2000-2006) and his Government had immediately taken innovative steps in the field of human rights, notably by ratifying numerous treaties, inviting the UN High Commissioner for Human Rights to open an Office in Mexico, launching reforms (constitution and judiciary) and preparing a national Programme to implement human rights. The Ministry of Interior (‘SEGOB’) was in charge of these questions. It had a Unit for the Promotion and the Defence of Human Rights, which runs the Secretariat for an inter-Ministerial Commission. Vast sectors of the civil society have been associated with these initiatives. SEGOB requested a technical follow-up support from the DFAE, who mandated GHR. On 1 December 2005, GHR and SEGOB signed a Memorandum of Understandung, institutionnalizing the cooperation with SEGOB and with the Coordinating Committee of the Programme. In this framework, from 2005 to 2008, GHR conducted many training activities and provided technical assistance and mediation between civil society and government, thus contributing to the elaboration and realization of public policies in the field of human rights. evaluating the perspectives of the contribution of the Swiss Peace Programme to the realization of the national Programme. During regular visits in Mexico, GHR trainers had periodic meetings with SEGOB and all sectors of the society to facilitate the process. They animated several Seminars co-hosted by SEGOB and conducted dozens of briefing and training sessions for members of the judiciary, national institutions and civil society, both in Mexico-City and in different parts of the country. GHR welcomed in its Geneva Courses many defenders from Mexico: NGOs activists, trade unionists, academics, judges and civil servants, in particular those involved in SEGOB and members of the Coordinating Committee of the National Programme. Most of them were trained in Geneva Courses to become trainers. Many training Courses in the different States of Mexico we co-organized by former trainees of GHR. Besides these training activities, GHR was quite involved in the elaboration of the National Programme, the set-up of the Coordinating Committee and the preparation of the first report of the National Programme. In 2006, GHR placed in SEGOB’s human rights unit one of its staff member, who prepared and coordinated during two years the main initiatives of the Unit. Seminar on the dialogue with the civil society (Mexico, D.F, 15-16 August 2005), entitled ‘Strengthening dialogue between civil society organizations and the government in the framework of the Coordinating Committee of the Programme’. 60 person attended, including NGOs members of the Committee and Representatives of all governmental entities (federal, members States of the Federation, Ministries, Parliament, judiciary). Participants worked at the draft by-law of the Coordinating Committee. Seminar on ‘Human Rights Programmes of the States of the Federation and Elaboration of Public Policies’ (Mexico D.F, 25 August 2005). 41 participants from the Ministries of Interior of all the States members of the Mexican Federation discussed how to elaborate their own State’s Programme. National Congress on human rights in the Constitutions of the States of the Federation (Queretaro, 11-12 mai 2006). About 300 participants from all the States, official Representatives, Parliamentarians, academics, lawyers and barristers, members of national institutions, civil society organizations and human rights NGOs, discussed the preparation of base-line studies of human rights problems in their own State and the incorporation of international standards in their Constitutions. Seminar for the Advisory Council of the National Programme (Mexico DF, 4 September 2006), held on the eve of the first meeting of the HR-Council. International Seminar on ‘Dialogue between the Government and the civil society to elaborate a human rights agenda’ (Mexico, DF, 11-12 December 2006). More than 400 persons from all the Ministries, all the States of the Federation, dozens of civil society organisations attended this Seminar proposed by GHR as a first mid-term review of President Fox’s National Programme. The Seminar was funded by the European Union. The first report of the Evaluation and Follow-up Committee was made public on that occasion. Participants reviewed the outcome of the first stage of the National Programme in several Workshops. It enabled in-depth exchanges on the experiences made and on the main challenges. Seminar on ‘Challenges of the National Human Rights Programme’ (Mexico, 23-24 August 2007). Convened by SEGOB and GDH, and funded by the Swiss Government, the Seminar aimed at throwing again the National Programme after the election of the new President Calderòn, the appointment of a new Administration and of new officials in SEGOB. About 50 persons attended, including Heads of Ministries, members of the Inter-Ministerial Commission and civil society organizations involved in the National Programme. Training Course for Mexican human rights NGOs (Mexico, D.F, 2-4 February 2005) under the title ‘U.N. human rights mechanisms’, with defenders from the following States: Acapulco, Chiapas, Chihuahua, Guanajuato, Guerrero, Mexico DF, Morelos, Nuevo Leon, San Luis Potosi, Tabasco, and Tlaxcala. It focused on the international and regional systems and procedures, and on national and international strategies. Conference of INDESOL (Mexico D.F, 20 July 2005) under the theme: ‘Dialogue mechanisms between the civil society and the Government in the field of human rights’. Several hundreds of organizations form the entire country participated. Workshops with civil society participants in the process (Mexico D.F, 17 and 24 August 2005). Most of those participating in the Coordinating Committee of the National Programme attended. Themes were the strategies, which the participating NGOs could set up to promote joint civil society initiatives, and positions in the Coordinating Committee. The exchanges included the creation of a NGO technical Secretariat to facilitate their monitoring and evaluation of the national Programme. Other briefings with civil society participants were conducted by GHR on 24, 28 and 31 October, 25 and 29 November). Training Seminar for civil society organizations (Queretaro, 19-21 juillet 2006) convened by the NGO Council of Querétaro. About 30 NGOs attended the Seminar, which was prepared together with SEGOB, the Ministry for Foreign Affairs and the national institutions (national and Querétaro). Regional Seminar ‘Human Rights at national and international levels’ (Queretaro, 25-28 octobre 2006), with more than 100 defenders from all the country attending. The Seminar was prepared by GHR in cooperation with SEGOB, the National Human Rights Commission, the Commission of Querétaro and the Ministry for Foreign Affairs. The Seminar focused on the international legal obligations of the country and on the international recommendations. It was also a first step towards the regionalization of the National Programme.